A LEGO® blog for reviews, techniques and discovery. 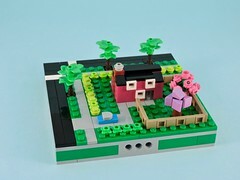 This year’s seasonal sets are a nice departure from the cute animals sets that Lego produced last year. 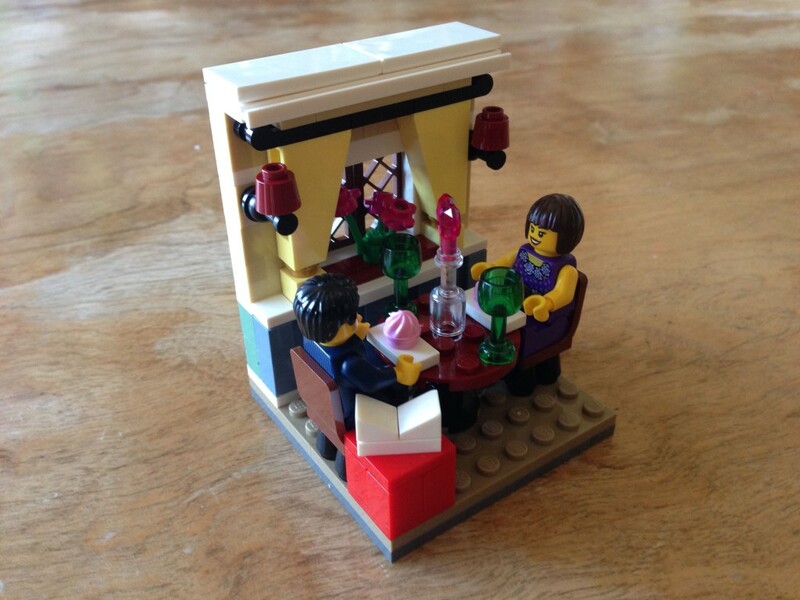 Each set is an 8×8 vignette with a pair of minifigures in an appropriate setting. Kicking off the line is this interestingly mature Valentine’s Day Dinner. 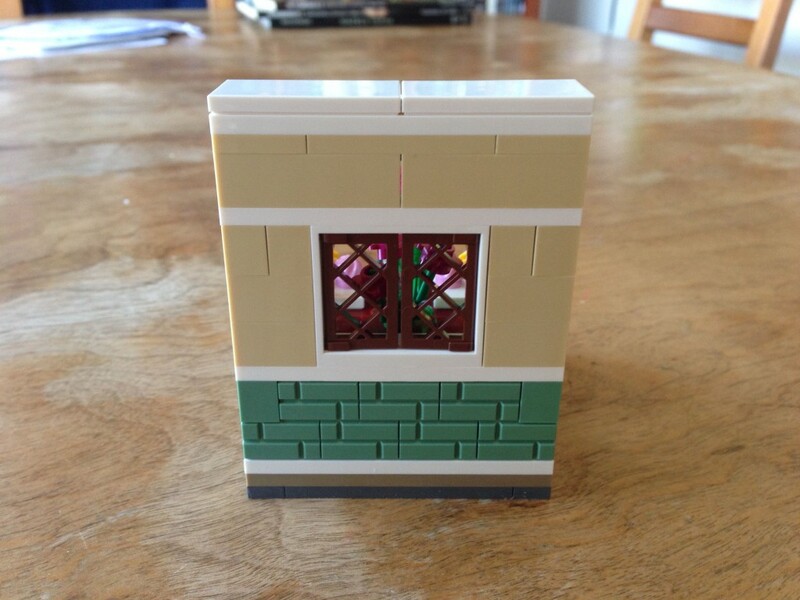 Lego has hard rules about the thematic content of their sets. Sometimes these rules rub AFOLs the wrong way, such as the ban on non-fictional military. This little set seems to bend, if not break, another of the rules: no alcoholic beverages. Here we have a couple enjoying a romantic dinner with wine glasses and a bottle on the table. It would be easy to explain it away as water, but the intent is clear. I think that we may see some of their rules softening in sets that are aimed squarely at adults. Opening the box, the contents are fairly standard: three bags of elements, a pair of loose plates and an instruction booklet. I sometimes wonder at the strange algebra of logistics that determine how many bags a set is to be divided into, since three seems a bit excessive for such a small number of elements. Before I get into the build, I’d like to point out the wealth of uncommon elements inside. 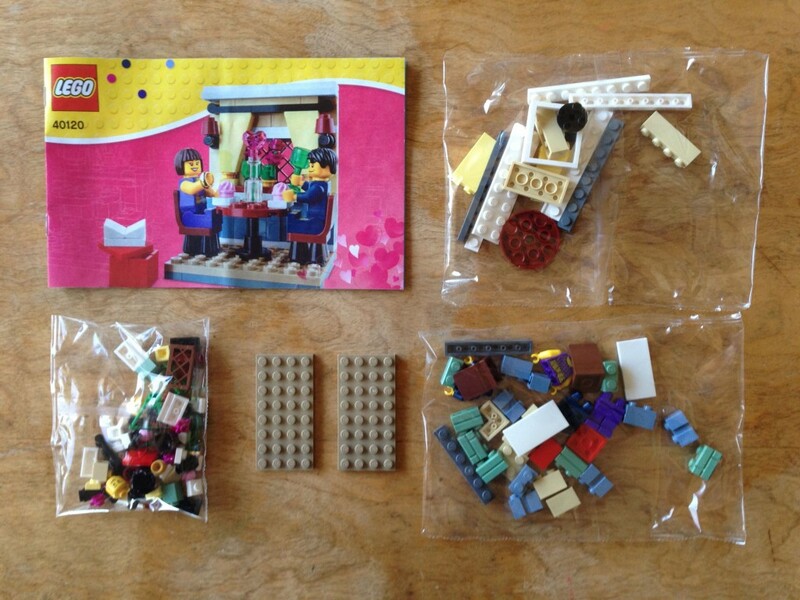 In cool yellow, the inverted slope has only been in one other set (the massive Heartlake Shopping Mall 41058), while the 1×1 plate has only been used as part of Unikitty in two other sets. The dark brown bob hair element has only been in a couple of other sets. The 2x2x2 undercarriage element in black is new this year (only found in the Detective’s Office 10246. The lattice shutters have only been in three other sets too. 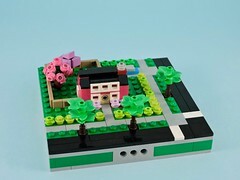 The big wealth is the sand green brick bricks and the sand blue slotted bricks. Neither of these are very common, and this set has 7 and 8 respectively. 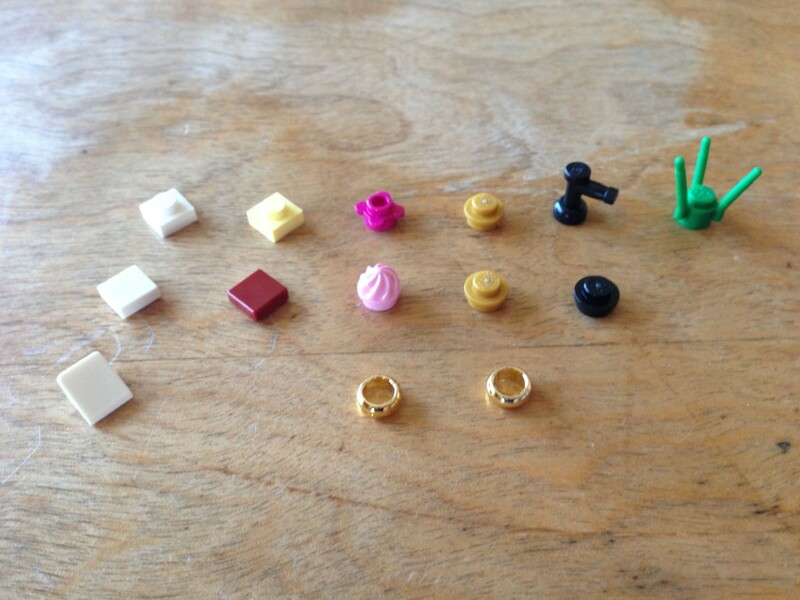 I haven’t crunched the numbers, but this might actually be good parts pack for certain builders. 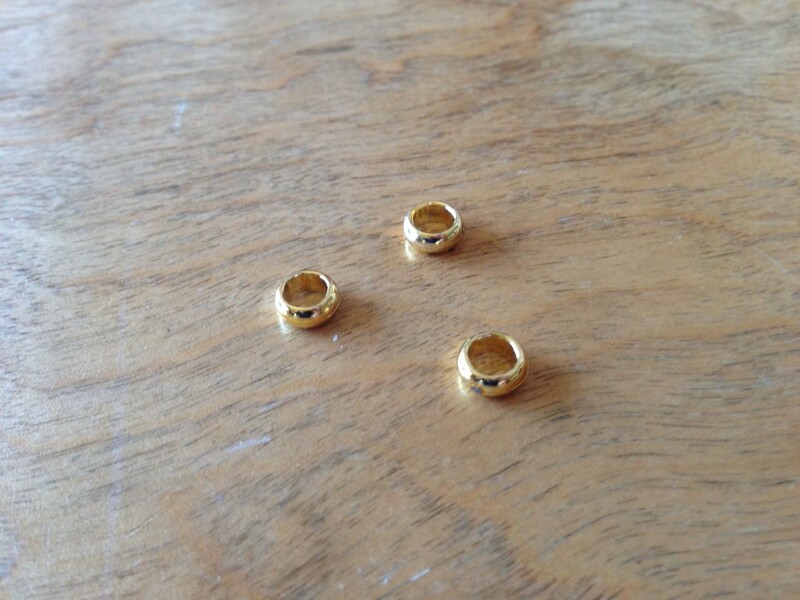 Personally, I’m rather stoked about the three gold rings that came in the set. These haven’t appeared in all that many sets (mostly Lord of the Rings sets obviously) and I didn’t own any. Getting two extras was a nice score. The build itself is fairly straightforward. There aren’t any fancy techniques to speak of, but the scene is nicely detailed. The red box has room inside to hold the ring. To builders that inclined, it would be easy to swap out the minifigs for ones that resembled themselves and their significant others. 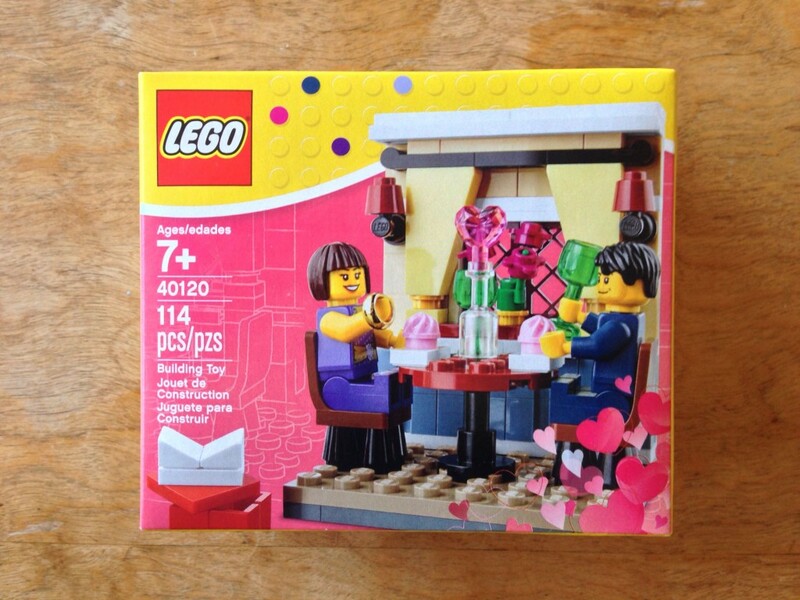 An oddly romantic gesture in the world of Lego. One detail that I like is that the diorama actually works from the back as well. The wall presents a nice exterior from the other side and the viewer can just make out the scene inside through the window. 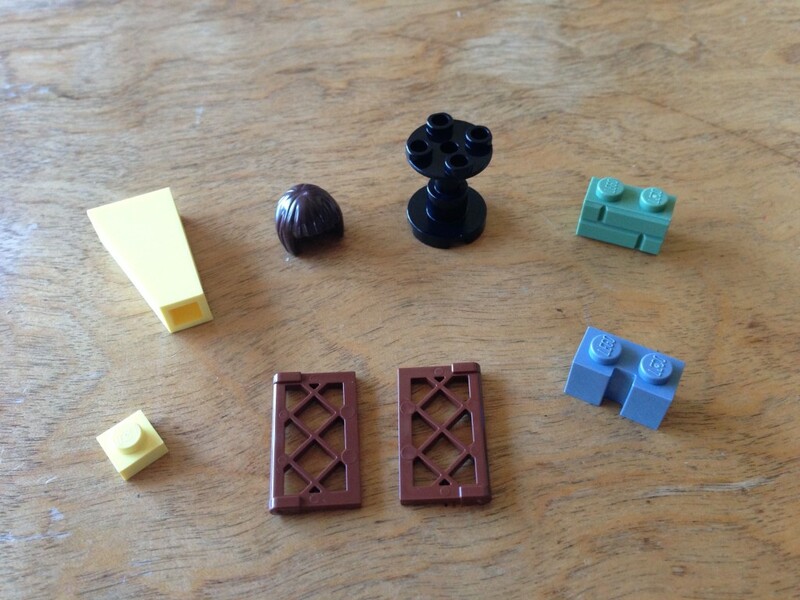 This set also comes with a nice selection of extra elements, bringing the price per piece down to around 8¢. Not a bad deal at all. A nice little seasonal set for the money. I wouldn’t pass it up if I were you. LEGO®is a trademark of the LEGO Group of companies which does not sponsor, authorize or endorse this site.